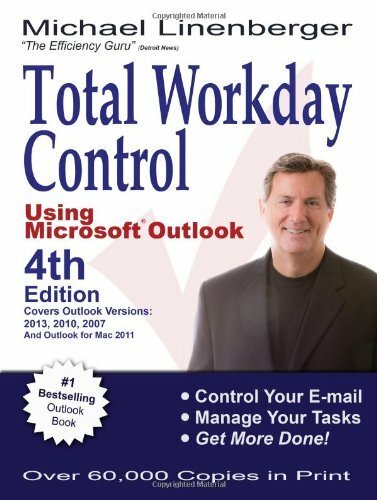 SUPERANNO In this fourth edition, Linenberger updates his longtime #1 bestselling Outlook book to include Microsoft's new Outlook versions for the PC and Mac, including Outlook 2013, 2011, 2010, and 2007. This guide presents the author's best practices of time, task, and e-mail management, drawing from time management theories and applying these best practices in Microsoft Outlook. Anyone who finds they are overburdened by e-mail or working too late each day will benefit from this book. Original. Called the “Efficiency Guru” by The Detroit News, Michael Linenberger has been a management consultant and technology professional for more than 20 years. Formerly a V.P. at Accenture and head of the IT department at US Peace Corps, Michael now helps businesses learn his techniques of increasing workday productivity.